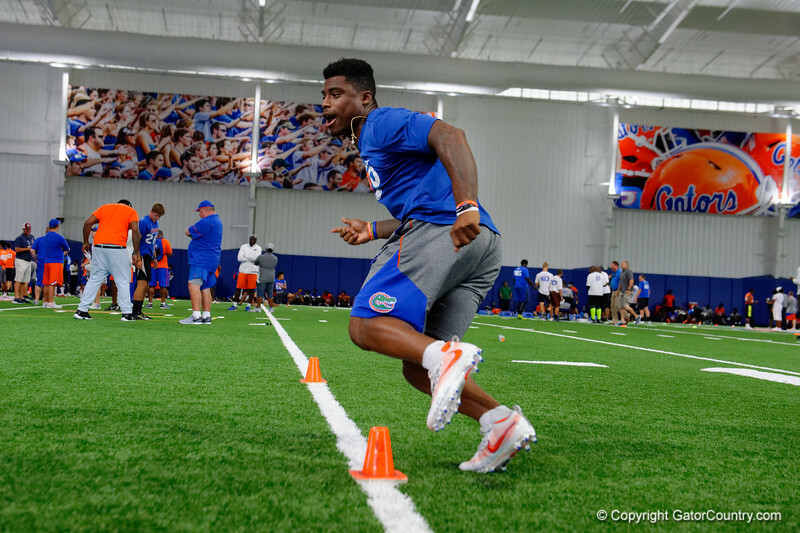 Florida Gators defensive back Chauncey Gardner runs through drills as University of Florida Gators recruits, commits and high school players from across the nation compete as the Gators host their annual Friday Night Lights camp at Ben Hill Griffin Stadium and Indoor Practice Facility. July 21st, 2017. Gator Country Photo by David Bowie.